The Deep State is a lifestyle. 400 former DOJ officials signed a letter opposing the appointment of Matthew Whitaker as Attorney General. 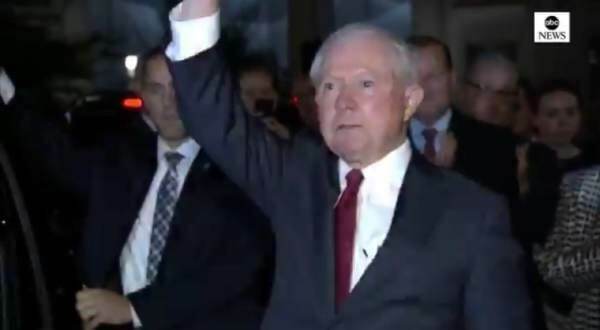 Hundreds of Deep State officials cheered Jeff Sessions as a hero after he openly worked to remove Donald Trump as the duly elected president. But there were not letters signed when Hillary and her close advisers were given a pass by the Deep State. There was no letter signed when the FBI was caught spying on the Trump campaign. There was no letter signed when the FBI was caught passing fraudulent evidence to the FISA Court. If this evil is not defeated this country is doomed.